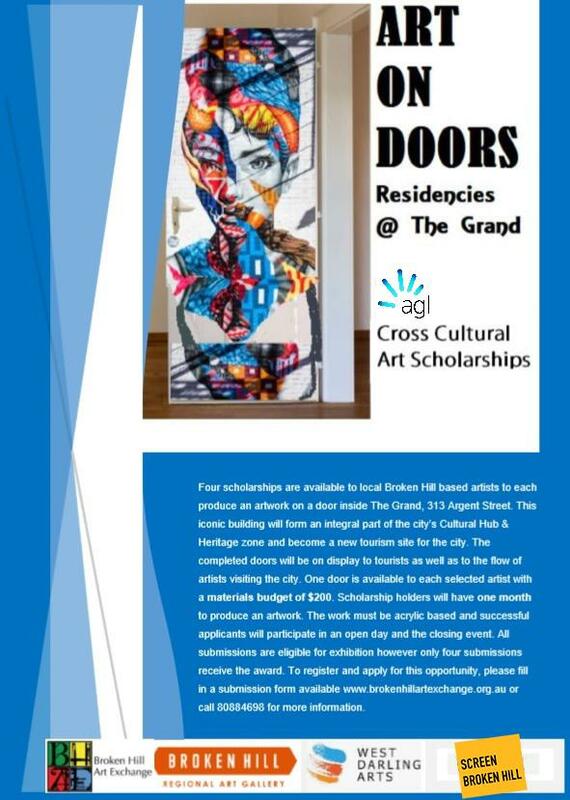 VISITING ARTISTS: Each selected artist will be provided a work space, travel assistance, materials budget and one week residency placement at the Broken Hill Art Exchange @ The Grand. The artwork can be any medium and for temporary display during the residency or permanent, if appropriate. The residencies commence on Sunday 16 November and end Monday 26 November 2018. Entries close 2 November 2018.